2018 was an exciting and busy year at Ignite. It was also a validating year. The quote above is from our website and it often grabs the attention of new and potential clients. Full disclosure, it’s me who made the statement. In my experience, at the top of most non-profit’s list of struggles is financial stability. They fight to make the budget each year. Staffs are woefully underpaid. Facilities are often in need of repair or improvement. And when December rolls around, the Board of Directors finds itself going back to the same small pool of reliable (and often tired) donors for a financial bailout. While Ignite doesn’t work exclusively with non-profits, we were fortunate to have formal engagements with three great organizations last year. Each one began 2018 by setting important goals related to building financial stability and growth. It has been a pleasure to have a front row seat as the leadership of these organizations (Staff, Volunteers, and Board Members alike) worked to break the all-too-familiar pattern of financial struggle and uncertainty. Our clients are as different as the populations they serve and we worked to support them in the changes they needed to make. One organization made great strides in fundraising, formalizing a dedicated committee and implementing a disciplined strategy that included a successful dinner with over 400 attendees coming together to celebrate their mission of empowering the homeless. For another client, we supported them by refreshing their brand and improving communication with volunteers and supporters, better connecting them to the organization’s mission and financial requirements. A third client applied for and won community grants for the first time in its history! - A clear mission that accurately reflects why the organization exists and the unique value it provides in the community. - Daily operations that are reviewed and optimized to support the mission. - A simple message that is communicated clearly, consistently, professionally, and relentlessly. - A knowledge of the support base, and a plan for growing and developing that base. - An involved Board of Directors willing to engage and evolve as the organization matures. The end of a year and start of a new one is often a frantic time for organizations, including non-profits. It’s been rewarding and validating for the Ignite team to see these clients reap the benefits of their work over the last 12 months. 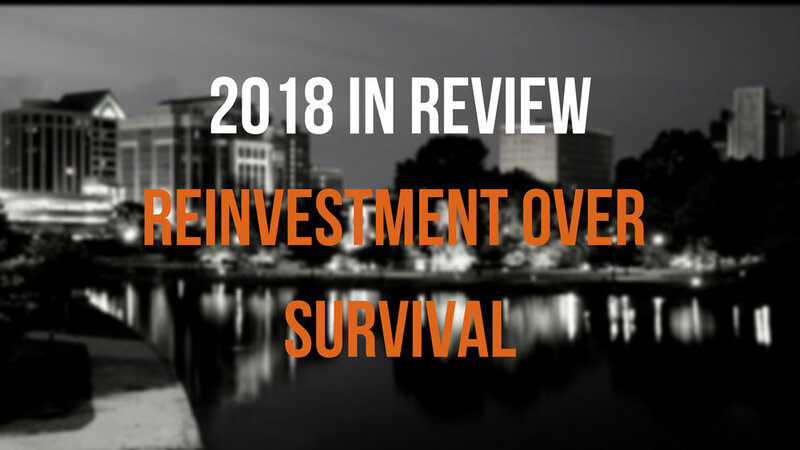 Instead of scrambling to make ends meet, they are each looking toward 2019 and beyond, refining their organizational strategies, and thinking about reinvestment rather than survival. Ignite Corporate Recovery Partners engages with non-profit and start-up enterprises to help them maximize finite resources by providing immediate, hands-on assistance in marketing, mission, strategy, finance, and operations.